Mira provides you a unique android desktop experience in order to be more productive and efficient using your cell phone. Today’s smartphones are capable of being much more than a simple way of communication : they can become our personal computers. Mira PC mode unleashes the full power of your android phone to become a true superphone. 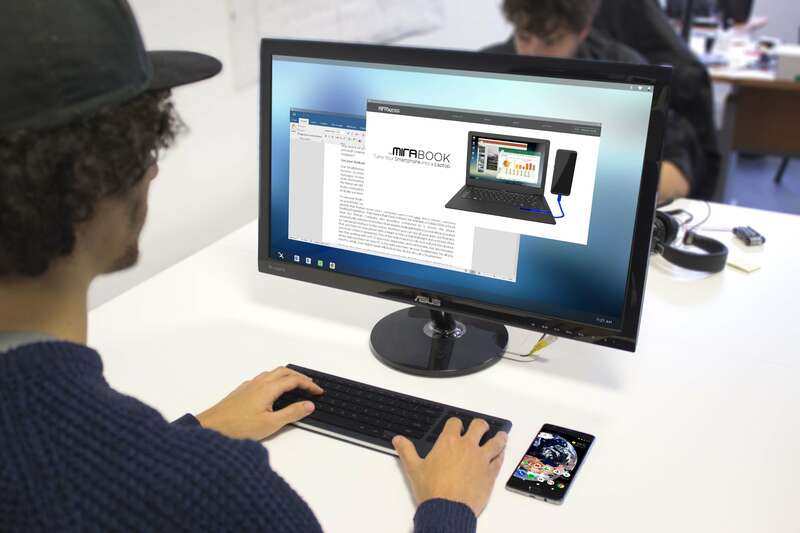 Mira lets you connect your superphone to a monitor, keyboard and mouse for a PC experience powered by your phone. Be even more productive with the Mirabook lapdock extension and keep working efficiently wherever you go. Run more than 3 000 000 applications from the PlayStore and enjoy them in windows. Get the instantaneousness and mobility your deserve. Use your working softwares with mobile applications ! Enjoy mobile gaming on a large screen and watch your favorite videos without eyesight fatigue. Become a true mobile gamer with a simple mobile phone. Experience the same simplicity using your mobile as a home computer. Switch from games to videos, tutorials to twitch lives, in a blink of an eye. How your Android Phone can be your only computer? Today, it is time for smartphones to evolve and become much more complete than they are now. They already are as powerful as our PCs and the main limitation to fully use their potential is the limited interface. 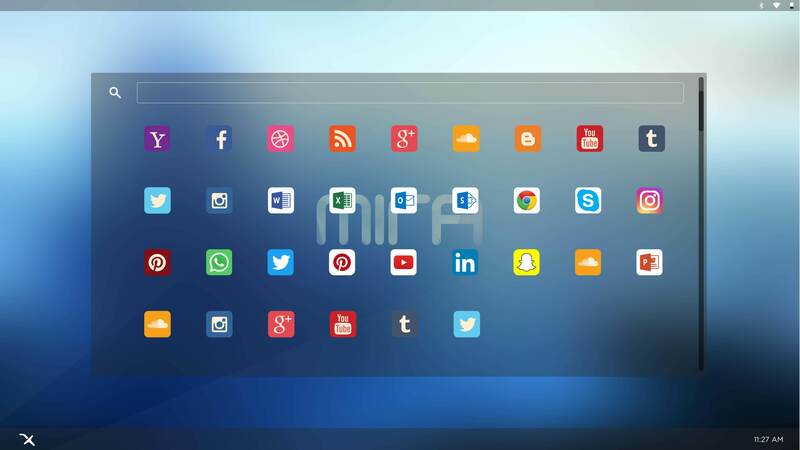 Mira creates an optimized desktop environment for you to be productive on your android mobile device. 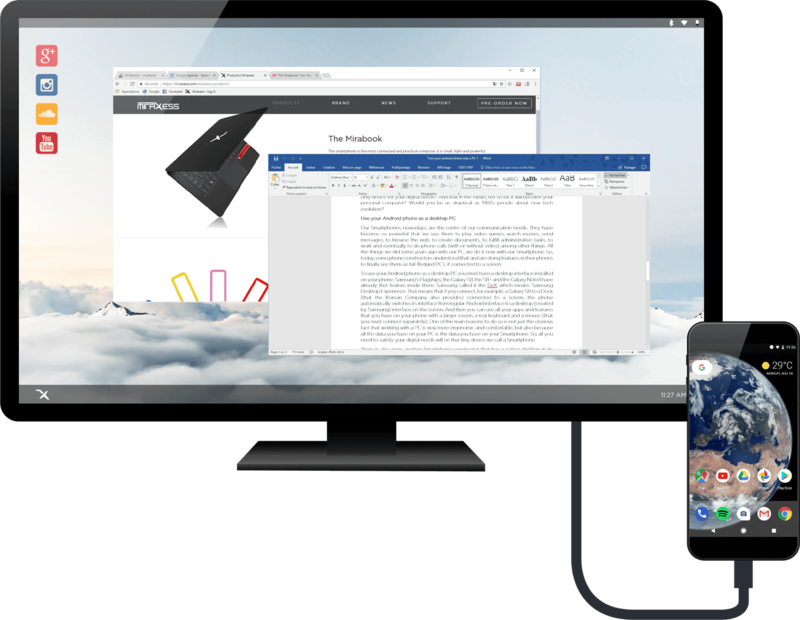 Enjoy your favorite apps in a desktop view and multi-task feature to use your android phone like a PC.